It's hard to find a hostel in Rome that can boast the same combination of cheap prices, central location, lively atmosphere and excellent facilities. 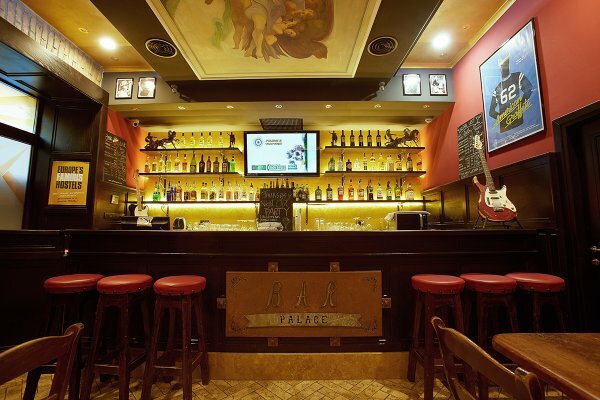 The focus at Alessandro Palace Hostel has its own bar, where every evening you can relax in front of the wide screen TV with surround sound. And there are parties, games and a super cheap happy hour every night to start having fun...at the hostel & bar Alessandro Palace you will never be bored! 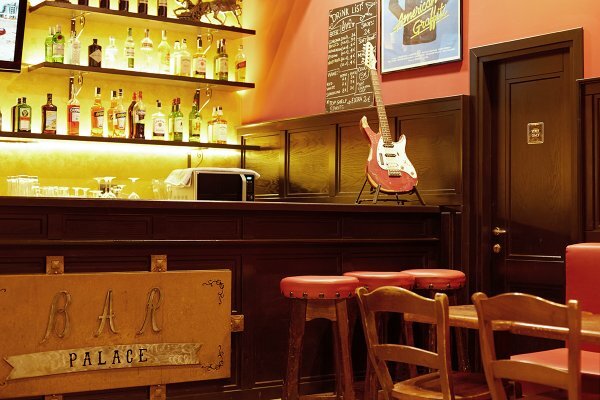 Alessandro Palace Hostel and Bar is a well-established hostel in central Rome and popular with budget travellers across the world. With its party-time atmosphere and friendly staff, the budget hostel has an in-house pub to keep everyone happy. 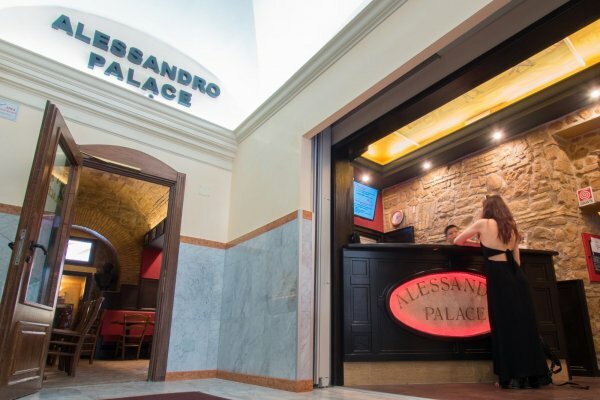 Alessandro Palace Hostel provides FREE wifi, energy-saving air-conditioning & heating units (at any time in double rooms, time controlled in dorms). All rooms have ensuite bathroom (hot showers), key card access and linens & blankets are always included.Double rooms with TV, mini-fridge, safe and towels included. Dorm rooms with lockers (bring your own padlock size 25-32-38) and towel rental service. Room lockout Alessandro Palace Hostel is open all day long, but please consider that from 10 a.m until 3 p.m. our staff will clean rooms. Please collaborate and let them clean the rooms. Located in a safe central area, Alessandro Palace Hostel is a short walk (5 minutes) from Termini, Rome's transportation hub for buses, metro, taxi stops, and trains to get you where you want to go. 24 hour reception, no curfew and late arrivals accepted (check-in after 3 p.m.). For your security the hostel provide fire proof doors, fire alarm and video surveillance system. At the bar (6 p.m. - 2 a.m.) you'll find a wide screen TV (with sports & music until late), wi-fi connection, parties, games, happy hour and...a lot of fun! Taxes Taxes not included: Rome city tax €3.5 p.p. p.n. is NOT included in the accommodation fee, upon making reservation please consider this as extra. Great location. Really close to the main station. The staff are really good. Excelent location (near Termine metro station). Really fun. I will stay at this guest house the next time I am in Rome for sure. The only thing I did not like was that you were not able to exchange your remaining bar tokens for for euro. I was not even allowed to use them on the vending machines. I fealt I bit gouged as a customer on this point, for an otherwise excellent hostel. Its a very good hostel! Excellent location, nice pub and great staff! The only problem was that there were no lockers inside the room and there were only one toilet and one shower to 8 people! Anyway, I loved it! Close to train station! You have to pay for the internet access (first 30 mins free). This may cause connection problems over wifi with a usa laptop.